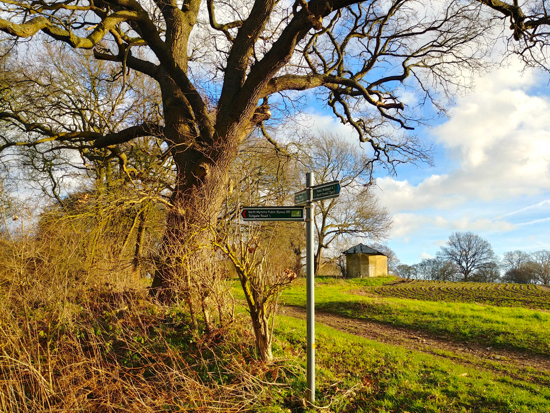 Hertfordshire's Countryside & Rights of Way team has released the latest update on works currently underway on the footpaths, bridleways, and byways in the parish of North Mymms. The information is emailed to this site on a regular basis by Access Projects Officer Dawn Grocock. Dawn’s report is embedded below. In it you will see references to footpath numbers. You can check those numbers on our interactive map, also embedded below, which shows every right of way in North Mymms along with the numbers referred to in Dawn’s document. Entries marked in yellow mean a “new problem or a change to a current problem action”. The initials used under Path Status column are as follows: FP = footpath, RB = restricted byway, BR = bridleway, BOAT = byway open to all traffic, and (U) UCR = (unsurfaced) unclassified county road. We have a guide to the rights of way on our walks site, Hertfordshire Walker. If you find a right of way blocked, a footbridge in disrepair, or any other issue that needs to be attended to, you can contact the rights of way team to report it. The four categories for reporting issues are: 1) when a public right of way is blocked - such as fly-tipping, fallen trees etc, 2) where there is encroachment - such as overgrown hedgerows, nettles, etc, 3) where the public right of way structure is damaged or missing - such as a broken gate, sign, stile, or footbridge, and 4) when a right of way is flooded. This map of the public rights of way in North Mymms has been created using data from the Hertfordshire Rights of Way map, which is released under the Open Government Licence.